Once casinos finally moved online, one major change occurred: they finally began to live their own independent lives, rather than depending on the many hardware and ambiance limitations of traditional land-based casinos. Perhaps online casino gaming software developers did not even fully realize how fundamental that shift was. Or, even if they did, in the beginning they had been only trying to copycat traditional casino entertainment. So as a result, the rapidly growing crowds of online gamblers initially were only able to find online analogs of the games available at brick-and-mortar casinos. The situation gradually changed. Nowadays, even though the process of playing in online and land-based casinos are similar in many ways, there are more and more differences. Online and brick-and-mortar casinos are two separate worlds now. They are definitely going to travel along different paths as online gaming software providers offer more and more advanced products, new exciting developments and countless variations on previously known ones. Here is a short review of what major suppliers of gaming software for the online casino industry are currently doing. This company has a real claim to fame as one of the most recognizable names of the online casino software developers. In 2014, they reached an unprecedented level of more than 21 billion transactions. It is even difficult to exactly tell how many creative professional people work for NetEnd globally these days! The number of online casino sites featuring NetEnt games is somewhat easier to count — there are more than 100 of them, including the world’s best known and reputable casinos like 888casino, Bwin, Mr. Green, Neogames and many others. The estimation is that NetEnt has launched hundreds of games, with more than two hundred currently available for the players worldwide. It is even difficult to highlight their most popular brands; but perhaps Warlords: Crystals of Power, Starburst, The Invisible Man, Gonzo’s Quest, Dracula, and South Park head the brand line. But the company itself has already become a brand, too! Many punters around the world that are looking for an online casino to play, are, in fact, first looking for specific games provided by NetEnt; and then only after this do they choose a relevant gambling venue. No wonder! 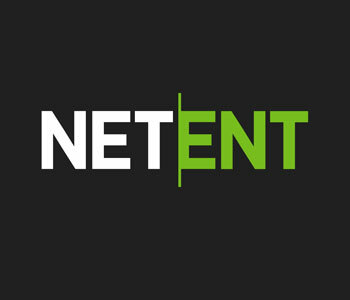 The NetEnt gaming platform has won many international awards: for video slots, innovations, and mobile technologies, etc. The company has about 20-year-long history — quite a long one as the industry it serves is about of the same age. The market leadership of NetEnt really does seem to be unbeatable at the moment. 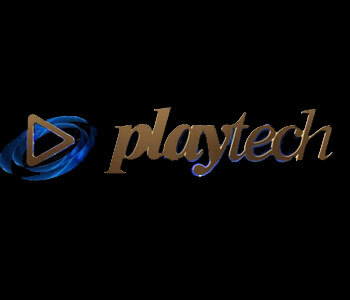 Playtech is yet another ‘since-the-beginning’ industry player. Found in 1999, the company strives to offer a wide scope of software solutions for online gambling: mobile gambling, sports betting, live and online real money casinos, lotteries, bingo, poker, etc. Their important advantage is the ability to offer fully integrated solutions to separate applications and software systems. Another plus to Playtech karma comes for social games, multilingual support, and services provided in different jurisdictions. As other pioneering software developers often do, Playtech is very careful about jurisdictions and licensing agreements. Among their well-known licensees, you could find such companies as iPoker, AAMS, Casino Gran Madrid and Serbian State Lottery. PlayTech’s offer embraces more than 600 casino games, with over 50 more options they release every year: card games, slot machine games, fixed odds games, table games, and others available in the instant play mode. 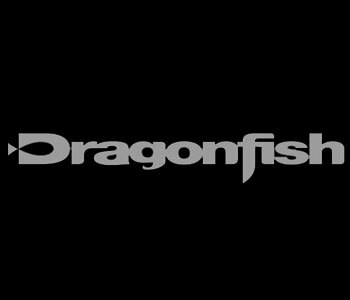 Compared to the industry pioneers, Dragonfish was established much later, in 2007. Indeed, in the early stages of this market development, 7-10 years was a huge gap. But the model chosen turned out to be very successful: it was a business-to-business software development branch of 888, a company that needs no introduction in this industry! Dragonfish library includes more than 300 casino games and over 100 mobile casino games of very wide availability. The visual and functional quality of these games is indistinguishable from the best games of other leading suppliers. 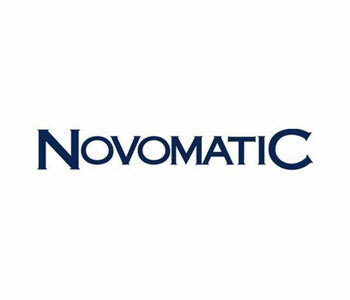 Novomatic is a European giant founded way back in 1980. Nowadays it is a company with a turnover of about €4 billion, selling its software to more than 80 countries. You should also take into account its 13 production locations and 20 technology centers all around the world, while also noting they serve as many as 1600 land-based and online casinos; in order to understand the real scale of this business, which embraces both gaming technology and gaming operations! Mega Joker and others covering every segment of the industry — slots, jackpots, multi-games, table games, etc. Evolution Gaming provides software for live casinos. This is the world’s leader in this area with such strongholds as Live Roulette, Live Baccarat, Live Blackjack, Live Caribbean Stud Poker, Live Texas Hold’em, Live Casino Hold’em, Live Three Card Poker, Live Dream Catcher, and others. Evolution is an international company, although the majority of the employees are in Latvia. Their revenues grow 40-60% a year. Parlay Entertainment is another early starter in the online entertainment industry; they’ve been around since 1996. With their offices located in Canada and Barbados, the company does accept US players as well. Parlay is known for its popular online bingo business, as well as for its cutting-edge software and technological applications. Parlay Entertainment is still creating and marketing high-quality casino games and different poker platforms, with over 50 games in their portfolio; while their main focus has traditionally been on the bingo market. The Parlay Entertainment bonuses are widely known as very strong. The company features a unique loyalty program, which is also quite a popular feature. NuWorks Gaming was launched only in 2011, having come to the casino gaming industry relatively late. At the present time, there are not so many online casinos running on NuWorks software. However, the industry analysts did mean it to become one of the leaders in providing casino gaming software in double quick time! One of the most important reasons for this viewpoint is that it is being developed by the same company that has launched RealTime Gaming (RTG) software. Their graphic design is very artistic, colorful and clear; while their subjects, characters, and themes are very attractive and interesting. In a relatively short period of time, it has become a serious player in the US and internationally. So far, NuWorks library counts only about 30 online slots, several table and video poker games. But the company introduces more and more playing options with unfailing regularity. The company does not hesitate to introduce progressive jackpots. One of them, called Monster Millions, is quickly gaining in popularity. Their Greek Goddess, The Duck Ages, and African Skies slots have already entered top lists and charts. And more interesting solutions are sure to come from their side. With the broad variety of games popular in both land-based and online casinos, the world’s leading suppliers of gaming software are enjoying positive growth in sales and revenue growth, while continually strengthening their market position. The trend is still upward. It is practically impossible to briefly review all that the major actors are doing, not to mention smaller online casino software companies, who are all striving to get their slice of the pie. Everybody understands that the market welcomes both classical and new concepts, provided only the product is creative, modern, nice-looking and player-friendly. The potential for online gambling is still far from being fully utilized at this point in history. We are already witnessing some serious research and development efforts on the part of online casino software providers, which are aimed at reaching a whole new level of experience. And these efforts are already changing the landscape in the online gaming industry to a great extent. New games, new features, new gaming agendas — we can only guess where all these changes are taking us to!